Cheongpyeong Providence has progressed through three major stages. 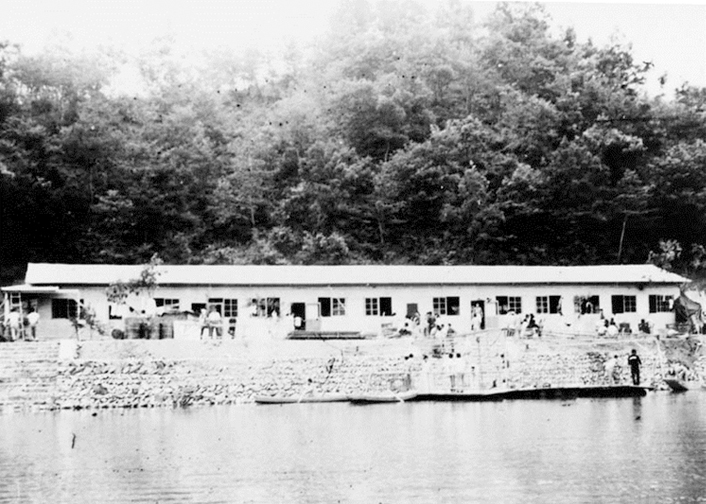 The first stage started on July 12, 1971, when True Parents established the Original Sanctuary at Cheongpyeong Training Center. This can be considered as the formation stage. The second stage, the growth stage, began on January 19, 1995, with the establishment of the spiritual work of Heung Jin Nim and Hong Sun Ae Dae Mo Nim. The third stage started from October 27, 2014. In this third stage, the completion period, the work connecting the spiritual and physical worlds is now proceeding under the direct dominion of True Parents. 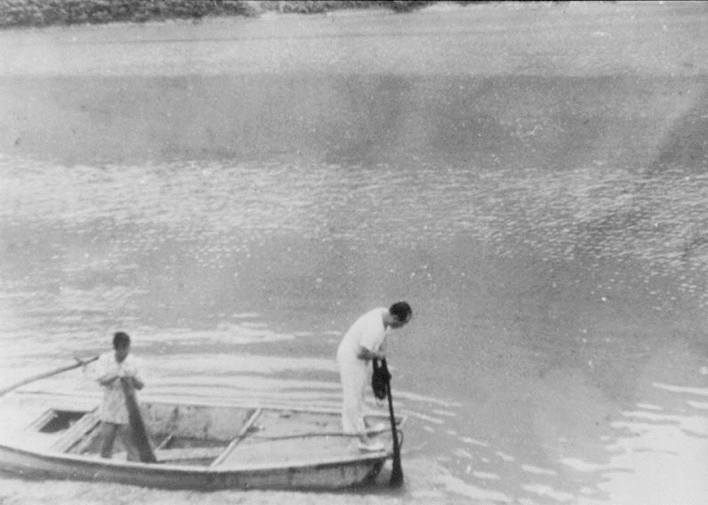 True Parents chose a site based on several years of sincere devotion in the late 1960s, living in a tent in the Cheongpyeong area while climbing the neighboring mountains to pray, and offering devotions while fishing on Cheonshim Lake. 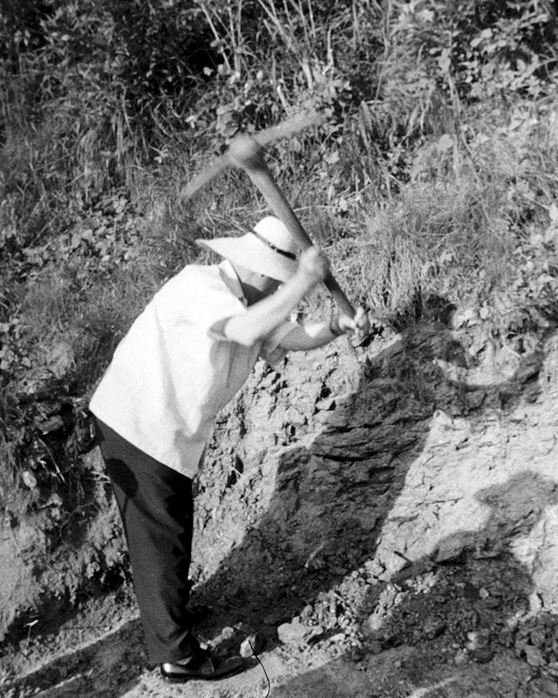 True Father broke ground with a pickaxe on June 17, 1971, signalling the start of construction. Under True Parents’ direct supervision, the construction work continued despite inclement weather. The first stage of the Cheongpyeong Providence began with the completion of the Original Sanctuary on July 12, just two weeks after its foundation had been laid. 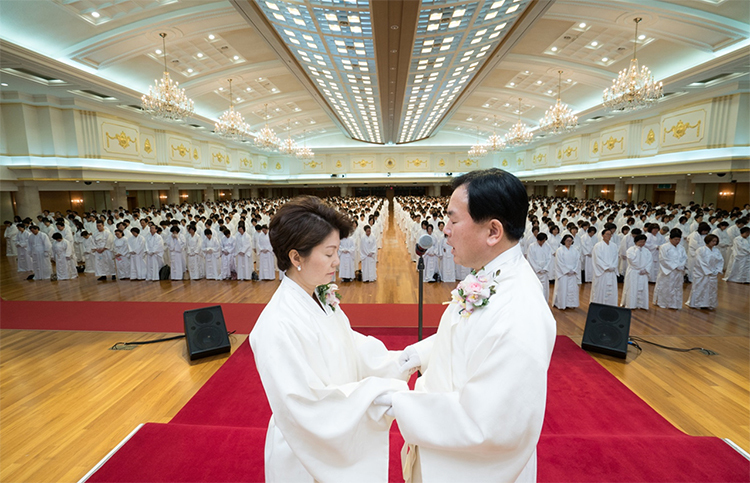 True Parents achieved the Opening of the Gates of the Spiritual World as they held the first stage of Ancestor Liberation on the foundation of devotions offered at the HyoJeong Cheonwon, Cheongpyeong Holy Ground. The Moon Clan Liberation Ceremony was held by True Parents at Cheongpyeong Training Center on August 5, 1973. On May 1, 1975, the Ceremony of Total Liberation was held under the supervision of True Parents. 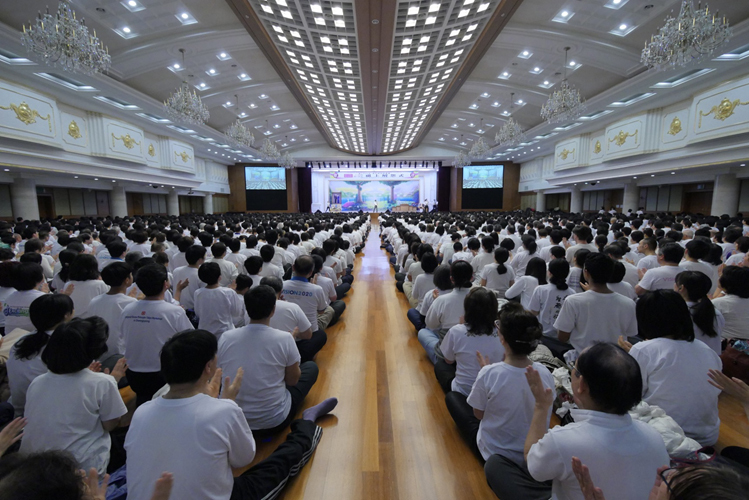 The Ceremony of Total Liberation was held for the first time at HyoJeong Cheonwon, Cheongpyeong Holy Ground because it is the place that provides a base for the international providence, where all fortune gathers, and can resolve all. On November 2, 1978, True Parents held the Unification Liberation Ceremony and proclaimed the Liberation of the Moon Tribe and the World Tribes. Through this ceremony, True Parents said all the barriers of the spirit world come down and the spirit world and physical world become one. So all the ancestors freely can travel freely and they can go anywhere they desire. The second stage of the HyoJeong Cheonwon, Cheongpyeong Providence lasted for nearly 20 years, from January 1, 1995 until October 26, 2014. In accordance with True Parents’ will, the environment of the Cheongpyeong Holy Ground was created for the work of separation of spirits, Ancestor Liberation Ceremonies, and Ancestor Blessing Ceremonies centering on Heung Jin Nim, Hong Sun Ae Dae Mo Nim. Before the Ancestor Blessing, the foundation for the blessing of spirits was prepared. True Parents gave a Blessing for spirit persons on August 23, 1995. 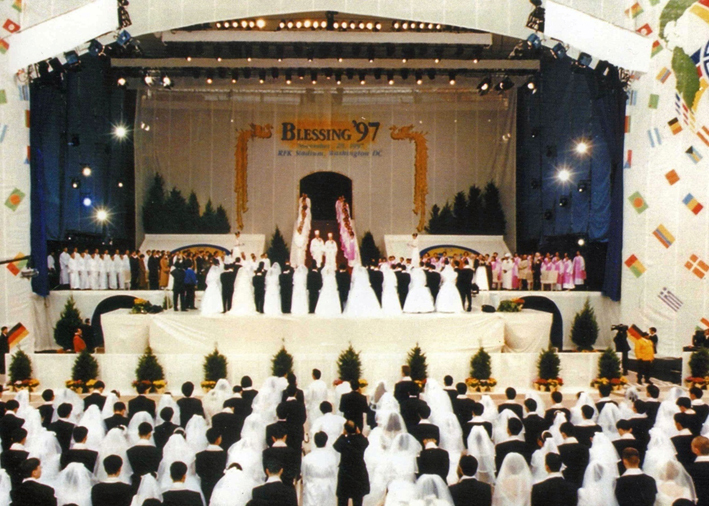 It was conducted two days before the International Marriage Blessing Ceremony of 360,000 couples, and it included Chung Mo Nim’s family and Dae Mo Nim’s family and Dae Hyeong Nim’s family. With True Parents’ Holy Marriage (1960, 4.11), the ideal blessed family that God intended to accomplish since Adam and Eve, finally became rooted on earth. The 36-couple blessing, which included the 3 couples who were the first to engraft to True Parents’ family model, symbolized the family level, the 72-couple blessing symbolized the tribal level and the 124-couple blessing symbolized the world level. These three stages of blessing ceremonies created the foundation for the international blessings of 30000-couple and 360000-couple. True parents did not stay in the world level but expanded the blessings ceremonies to the cosmic level. 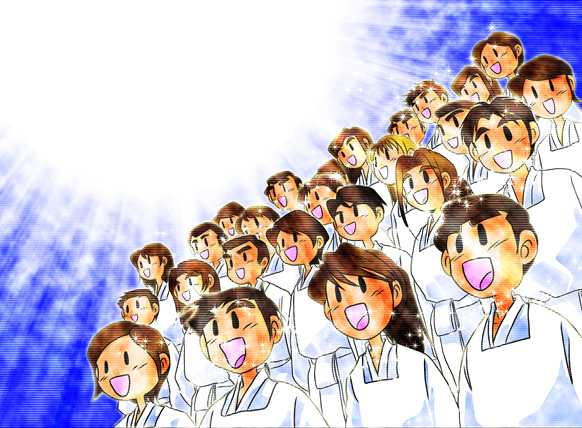 On November 29, 1997, at the same time as the 40 million couples International Blessing Marriage Ceremony, the Blessing Ceremony for 3.2 billion spirits was held for the first time. On January 8, 1999, with the Proclamation of Complete Liberation for the Cosmic Expansion of the Marriage Blessing and the Rooting Out of Satan’s Lineage, True Parents gave a benediction for holding Ancestor Liberation and Ancestor Blessing. Following this, the Ancestor Liberation ceremony for 1-7 generations of father’s side was held on February 12 at Cheongpyeong Heaven and Earth Training Center, and on the same day the Ancestor Liberation Ceremony for the Moon Clan and Han Clan was also held. On True Parents’ 79th birthday, at 9:09:09 A.M. on September 9, 1999, they declared the liberation and unification of the cosmos centered on Parents of Heaven and Earth, (Gu Gu Jeol 9-9 Day). They proclaimed this day as, Day of the Blessing and Liberation of All Heaven and Earth on October 23 and the arrival of the Age of the Authority of the Fourth Adam on October 24, thus attaining the position of perfected Adam in complete oneness with God. 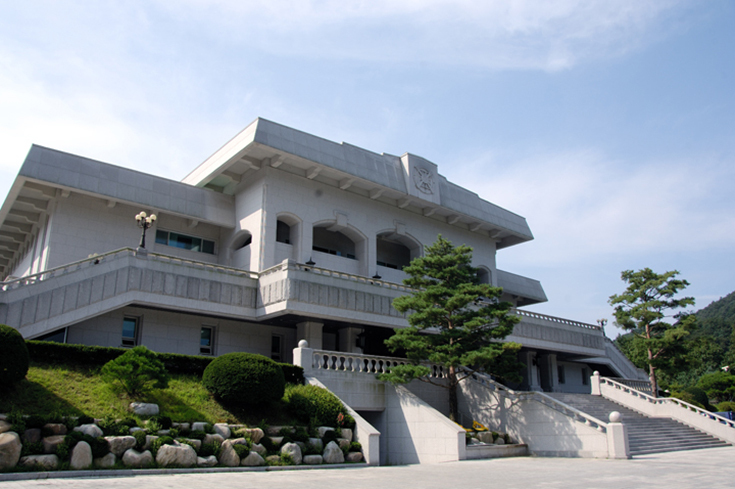 They then dedicated the main hall of the Cheongpyeong Training Center as the Cheonseong Wanglim Palace on November 7th. Ancestor Blessing Ceremonies was held at the Cheonseong Wanglim Palace for the first time on December 12, 1999. Ancestor Liberation and Ancestor Blessing became possible because True Parents came to the world and broke down the lineage of Satan’s world by making indemnity conditions. The whole providence of restoration in the realm of spirit world and physical world has become fruitful. 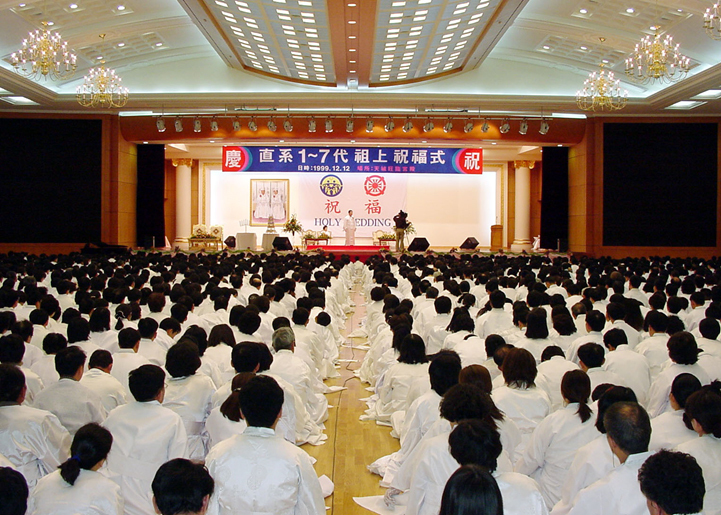 The year after the first Ancestor Liberation and Ancestor Blessing, True Parents bestowed the new name “Cheongpyeong Heaven and Earth Training Center” on March 15, 2000. They verified that Cheongpyeong will serve a pivotal role for the providence of salvation of the spirit world and physical world. 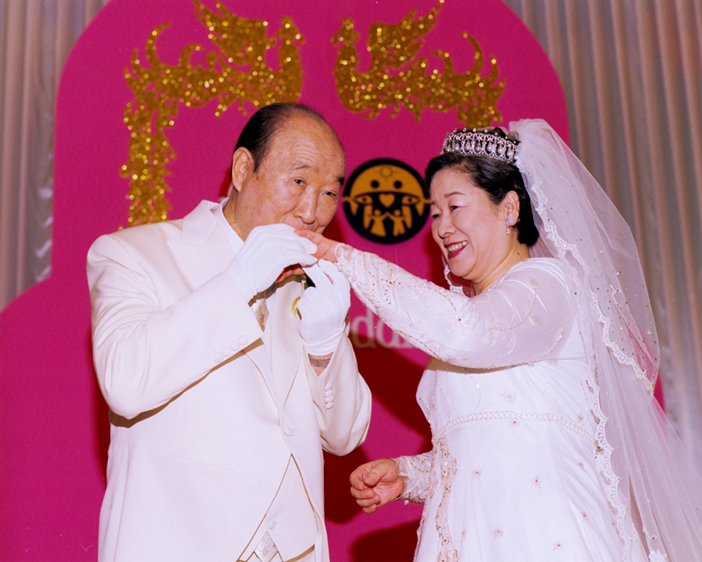 The Holy Marriage Blessing of the Parents of Heaven and Earth Opening the Gates to Cheon Il Guk was held at Cheongpyeong Heaven and Earth Training Center on February 6, 2003, on the 84th birthday of True Father and 61st birthday of True Mother. Through this, the way was opened for the blessed spirits in spirit world and blessed families on earth to register themselves as citizens of Cheon Il Guk. 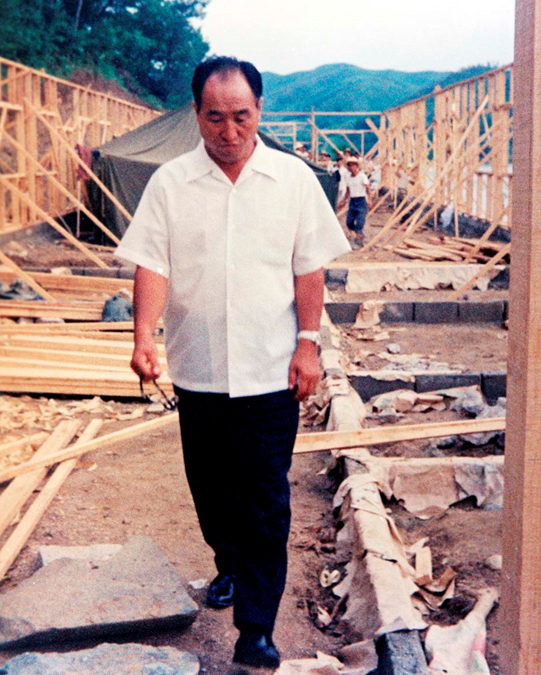 True Father ascended to the spirit world in 2012 on 7.17 by the heavenly calendar (solar calendar, Sep. 3,) and 13 days later on July 29th by the heavenly calendar (solar 9.15), the Universal Seonghwa of Sun Myung Moon, the True Parent of Heaven, Earth and Humankind was held in a solemn atmosphere at the CheongShim Peace World Center. After going to the spirit world, True Father reorganized the order of spirit world and bestowed great gifts of grace and blessing to the members. True Mother also said, The spirit world has changed since True Father's Universal Seonghwa. In light of this change of the spirit world, True Mother emphasized the importance of Ancestor Liberation and witnessing on June 23, 2013. By the third anniversary of True Father’s Seonghwa in 2015, True Father had traversed the spirit world for 3 years and completed the foundation so that he could do heavenly works by directly presiding over Earth and Heaven. Until the third anniversary of True Father’s Universal Seonghwa, True Mother offered three years of mourning devotions, creating a trinity with True Father in heaven, centered on Heavenly Parent. After the 17th day of the 7th month by the heavenly calendar in the 3rd year of Cheon Il Guk (August 30, 2015), the third anniversary of True Father’s Universal Seonghwa, True Parents have been opening the age of direct dominion of the spirit world and the physical world. True Father in heaven and True Mother on earth achieved oneness in heart, oneness in body, and oneness in thought, and can advance the providence by directing both the spiritual world and physical world. This established a stable new age of order in the spiritual world since True Father has reorganized the spiritual world for the three years after his ascension. 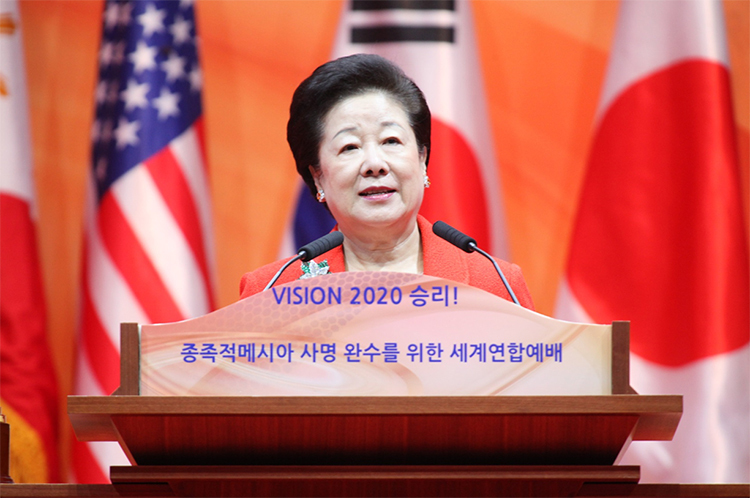 True Mother spoke a great deal about the changes in the Cheongpyeong Providence three years after True Father’s Universal Seonghwa. In particular, True Mother specifically said, “When it comes to Ancestor Liberation, True Father directly supervises in heaven. From now on, if there is unity with True Parents, there will be miracles. If you invest yourself in prayer and devotion, your problems will be solved. This is possible because the spiritual base is already prepared.” True Mother informed all human beings about the historical changes in the spirit world. Now that three years have passed since True Father’s Universal Seonghwa, work for returning resurrection to become one with True Parents is very active. Such work of the Holy Spirit shows that new life is born based on the foundation of True Parents through the separation of spirits, Ancestor Liberation, and Ancestor Blessing, which had been conducted during the second stage of the Cheongpyeong Providence. True Parents compared the Cheongpyeong Holy Ground (where this work is going on) to a womb. On August 27, 2015 (7/14 by the heavenly calendar), three days before True Father’s Universal Seonghwa Anniversary, True Mother emphasized that their first and second sons, Hyo Jin Nim and Heung Jin Nim, who had already gone to the spirit world, stood in the positions of Cain and Abel. 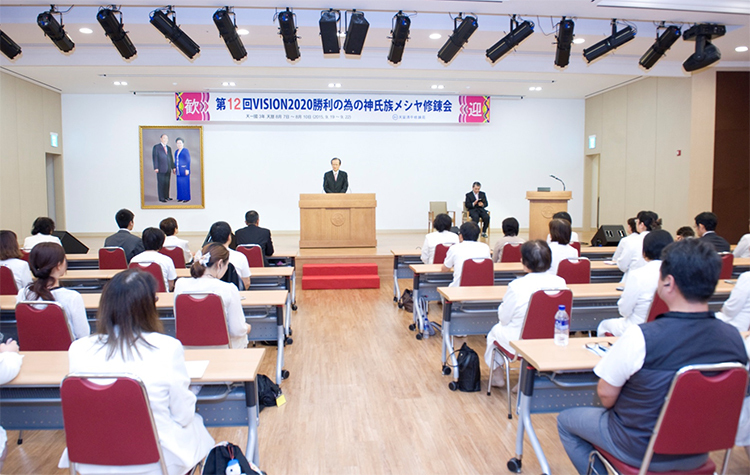 Hyo Jin Moon ascended on March 17, 2008, and his World Seonghwa Ceremony was held two days later at the Cheongpyeong Heaven and Earth Training Center. 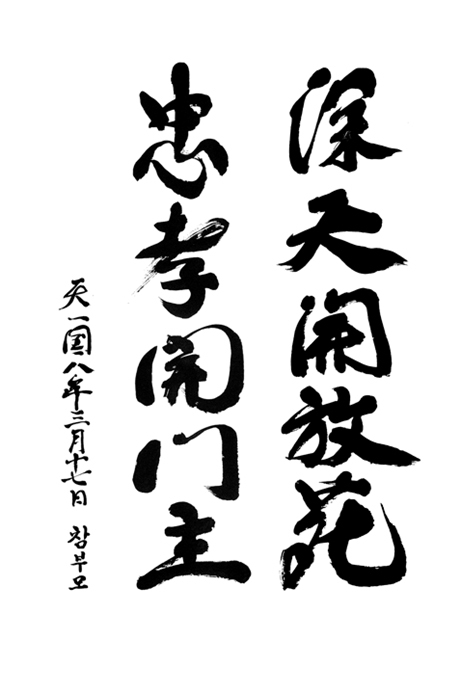 During the speech, True Parents explained the meaning of the calligraphic writing, “Shimcheon Gaebang-won Chunghyo Gaemun-ju” (He will open and liberate the deepest heaven and turn it into a flower garden as the lord who opens the gates of loyalty and filial piety), which was bestowed on Hyo Jin Nim. “Shimcheon Gaebang-won” means deep, wide, and infinite garden that can open the spirit world (Shimcheon). And “Choonghyo Gaemun-ju” means devoted child and loyal subject can be the lord of liberation by supporting heaven with the original standard. 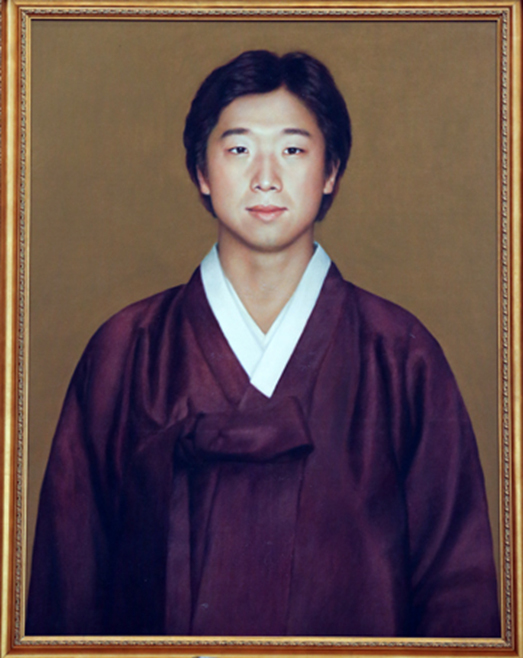 Putting Hyo Jin Nim’s portrait in Jeongshim Won initiated a significant change in spiritual atmosphere. Thus, during the “2015 Autumn Cheongpyeong Special Great Works”(10.23-25), the number of members who had spiritual experiences with True Parents significantly increased, and there were many who testified that they witnessed Hyo Jin Nim standing on the right side. Now the system for Ancestor Liberation is well-organized, bringing more absolute good spirits. The time has come for our members to come to Cheongpyeong to experience the Cheongpyeong Works. 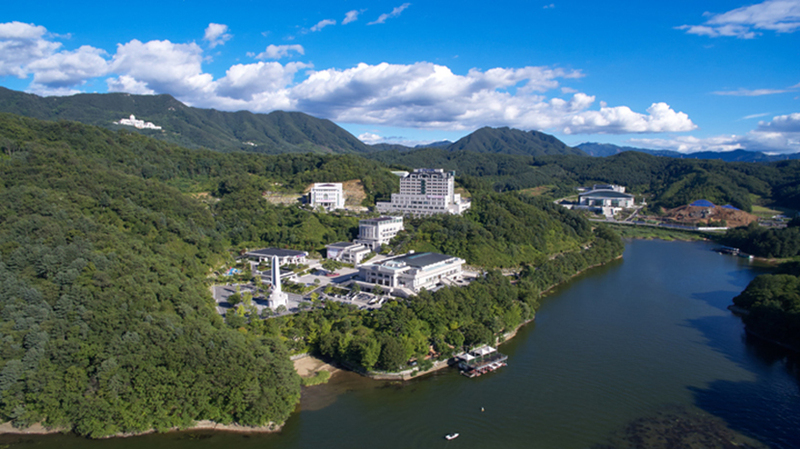 Coming to the Cheongpyeong Heaven and Earth Training Center and joining the Chanyang Yeoksa will give you guidance in your life. The time is now open where spiritual work at Cheongpyeong is sharing the grace of Ancestor Liberation and Ancestor Blessing under the direct supervision of True Parents. The Tribal Messiahship Movement refers to blessed families that inherit the right of True Parents’ universal victory and expand it from one family to one tribe. True Parents have repeatedly called for the fulfillment of their mission through the activity of tribal restoration. In April, 2012, at the National Pastors Assembly, they emphasized the importance of fulfilling Tribal Messiahship centered on 286 tribes. As a result, “the 30-day Tribal Messiah Original Substance of the Divine Principle Workshop” was held. True Father also mentioned Tribal Messiahship in his last prayer on August 13, 2012. 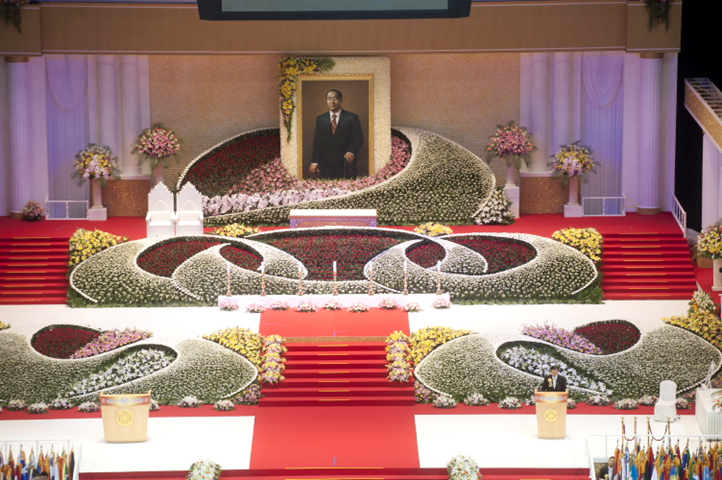 Blessed families will receive rebirth as substantial Tribal Messiahs, perfecting spiritual salvation and realizing the ideal of the three great blessings, by blessing their ancestors in Cheongpyeong to the 420th generation. The substantial cooperation and direct spiritual and physical growth and development of the spirit world will be realized beyond the personal level to family, tribe, people, nation and world. True Parents made it clear that the fulfillment of the mission of Ancestor Liberation and Ancestor Blessing and the triumph of Tribal Messiahship are the coordinates by which we should go as.